Kaine – Legal. Supports women’s right “to make their own reproductive choices.” Opposes efforts to weaken Roe v. Wade & defund Planned Parenthood. Campaign Finance: Require political ads to disclose their largest funders? Stand on Citizens United decision, allowing unlimited corporate political donations? Kaine – Yes. Introduced 2017 Disclose Act to disclose major campaign funders. Reverse Citizens United, saying erodes democracy & undermines elections. Stewart – No public statement found on Disclose Act. Opposes regulation of campaign donations. Climate Change: Consider climate change a critical issue? Limit or tax production of greenhouse gases? Kaine – Yes. Climate change imperils our planet’s future & threatens our economy. Need to regulate greenhouse gases. Paris Climate Accord withdrawal will make it harder to deal with climate change at home. Contraception: Allow employers to withhold contraceptive coverage if disagree? Kaine – No. Co-sponsor of bill to restore ACA contraceptive coverage requirement. Stewart – No statement found. Kaine – Yes. Particularly transportation infrastructure. Stewart – No. Generally opposes. Kaine – No. Will fight efforts to divert public school funding to private schools. Stewart – Yes. Parents need to be in charge & should have as many choices as possible including vouchers. Elections: Support nonpartisan redistricting vs potential partisan gerrymandering? Stewart – Unclear, but supported contentious redistricting proposal. Kaine – No. Signed letter voicing “extreme concern” over the cuts. Kaine – Yes. Co-sponsored bill to ban military-style assault weapons, high-capacity ammunition magazines, & bump stocks. Supports improved background checks. Stewart – No. Supports absolute right to gun ownership. Gave away a semi-automatic rifle in raffle to highlight his position. Healthcare: Support or Repeal Affordable Care Act (ACA), known as Obamacare? Support Medicaid expansion to subsidize low-income participants? 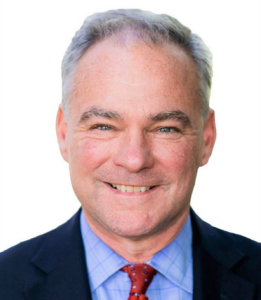 Kaine – Supports ACA; has voted against all efforts for full or partial repeal. Praised Virginia’s Medicaid expansion. Stewart – Full repeal. “Obamacare has failed.” Called Virginia Medicaid expansion “a major disaster for our party.” Replace Medicaid with state block grants. Stewart – No. “Illegal immigration threatens America’s security, jobs, & tax dollars.” No amnesty. Build the wall. Instructed his county police to check immigration status of anyone they believed were in the country illegally. Kaine – Opposes withdrawal. Damages diplomatic credibility, weakens alliances. Reopens the door for Iran to start enriching uranium. Kaine – Introduced bill to decriminalize at federal level & respect states’ rights. 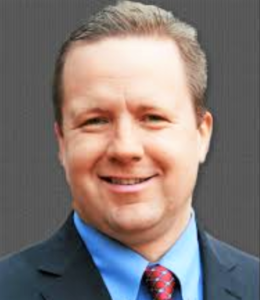 Stewart – Decriminalize but don’t legalize. Kaine – Yes. Co-sponsored $15/hour proposal. Stewart – No public statements found. Kaine – Yes. Voted to protect. Kaine – Strong critic of policies. Has voted with Trump 34% of time (as of Oct. 12, 2018). Social Security: Address Social Security solvency? Kaine – Opposes any privatization. Make more solvent by lifting cap that only taxes incomes up to $128,000. Renewable Energy: Should government support renewable energy? Kaine – Yes. Has supported renewable energy subsidies. Also supported a VA coal plant as governor. In 2013 supported off-shore drilling, which now opposes. Student Debt: Refinance student loans at lower rates, paid for by increasing taxes on high earners (Elizabeth Warren proposal)? Increase student financial aid? Kaine – Voted for 2014 Warren proposal. Also fixed glitch in public service loan forgiveness program. Allow Pell Grants to cover short-term training. Stewart – No public statement found. Kaine – No. They explode the deficit, only benefit big corporations & the very wealthy & raise healthcare premiums. Stewart – Yes. “Lowering taxes is the key to prosperity.” Trump cuts have yielded low unemployment & soaring corporate profits. Suggests making permanent. Voting Rights: Support Governor McAuliffe’s restoring felon voting rights? Kaine – Yes. Supported. Also expand early voting & general ballot access.